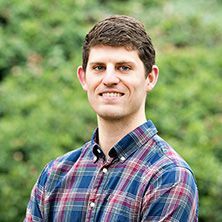 Harrison joined Southern Veterinary Partners in 2019 as a Reporting & Analytics Analyst. He graduated with a Master of Science in Business Analytics from The College of William and Mary in May of 2018. Before moving to Virginia, Harrison received his B.B.A. (Finance) from the University of South Alabama while also pitching for the Jaguars Baseball Team. After moving, Harrison worked as an Analyst in Accenture Federal Services analytics practice. In his role, he assisted in front-end dashboard development for the Department of Justice. He will be marrying his fiancé, Sara, this July. Harrison enjoys hunting and fishing, sports, hiking, and spending time with his black lab named Tucker.